Wow – great observation (and illustration via chart) that really applies to all price ranges but is very clear above $1 mil…. 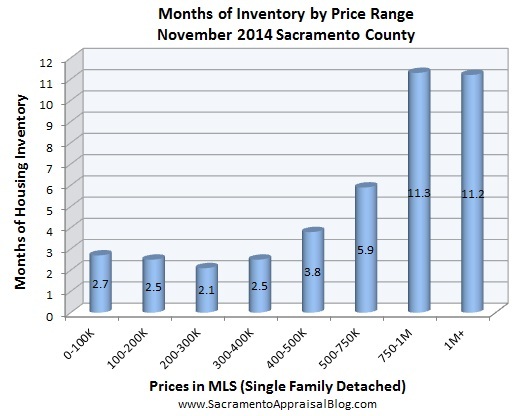 great listings priced right sell quickly, while the others languish….. If you have the ability to transform your listing into that “great” one, you can shave months off the market time and more than likely get a higher price also. This goes into my listing presentations. Thanks Jeff. Well said too on shaving months off. I completely agree. When running a CMA for specific neighborhood boundaries, it’s always interesting to compare DOM for sales over the past 90 days, listings, and pendings, I’m finding sales and pendings very often have a somewhat similar DOM (or CDOM), but listings are very often much higher these days. This tells the exact story you did. Well priced listings sell. Bottom line. We are experiencing similar conditions in the Los Angeles area Gary. I have noticed a more pronounced effect on condominium sales. 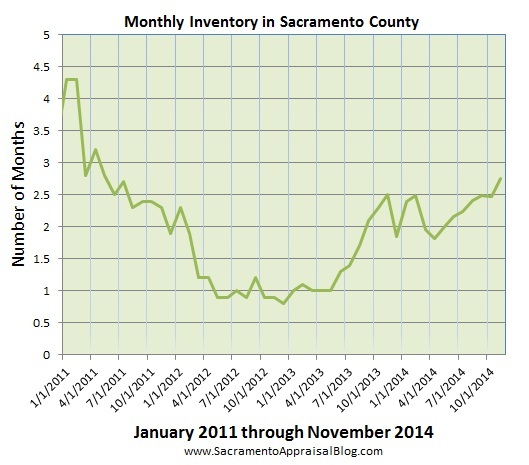 Some areas are showing moderately declining values, but that may just be seasonal fluctuations. Have you compared condo sales to SFR sales in your area? Thanks so much Mike. What do you mean by “more pronounced effect”? Condo sales tend to lag behind the single family detached market in Sacramento in terms of values being lower (they’re also behind the trend of the single family detached market by about six or so months). Additionally, there are more cash sales in the condo market in light of difficulty with financing as well as affordability. Whoops! I meant Ryan, not Gary.